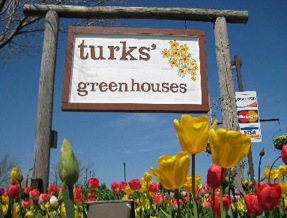 Since 1978, Turks’ Greenhouses has provided first-rate service in our Greenhouse. Vernon Hills, IL customers count on knowing that all of our annuals are grown on-site and we have a number of greenhouses that we make sure we stock from spring to fall for you to choose from – all grown with expert care on-site in our Greenhouse. Vernon Hills, IL customers are impressed with our selection and enjoy being able to shop locally. We’re delighted to ‘wow’ our customers with our large selection of annuals, perennials, herbs, fruit plants, planters and vegetable plants – all grown in our own Greenhouse. Vernon Hills, IL customers should contact us at 847-546-1569 today at Turks’ Greenhouses to discover how we take care of you with the treasures from our Greenhouses.